Dr. Bernard Gasch, an esteemed dermatologist at the Center for Dermatology and Laser Surgery in Portland, Oregon, reminds the public that Psoriasis Awareness Month is around the corner. The National Psoriasis Foundation sponsors Psoriasis Awareness Month every August. This month-long initiative aims to not only raise awareness of psoriasis, but also educate the public, as well as dispel the misinformation, myths, and stigmas surrounding the disease. To promote this awareness effort, Dr. Gasch is speaking out on this widespread and often misunderstood condition. Psoriasis is a widespread autoimmune disease, affecting an estimated 7.5 million Americans. While the exact cause of the condition is unknown, it is believed to be caused by a combination of genetics and environmental triggers, such as stress, injury and certain medications. 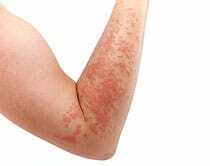 Most forms of psoriasis manifest as raised, red, scaly patches on the skin that can be itchy or painful. In addition to the discomfort caused by flare-ups, researchers have linked psoriasis to a number of serious conditions, including heart disease and diabetes. Psoriasis can also take an emotional toll on patients, causing increased instances of anxiety and depression. In addition, as much as 30 percent of the psoriasis population develops psoriatic arthritis, which causes inflammation and pain in the joints, according to the National Psoriasis Foundation. Dr. Gasch emphasizes the importance of treating and maintaining this disease. For more information about medical dermatology and laser treatments that can help you deal with psoriasis or other skin problems, contact the Center for Dermatology and Laser Surgery. We are located in Portland, Oregon. Please call us at 503.297.3440 for details. We look forward to hearing from you soon.